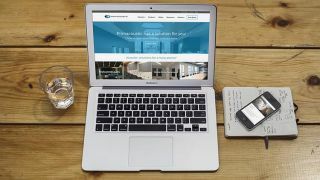 Primacoustic has launched its new website featuring a streamlined user experience, a new blog section announcing the latest product news and featured applications, and an extensive library of educational resources. The new site retains the online room calculator/quote feature from the previous site. "The markets and applications for acoustic treatment continue to snowball year after year and we decided we needed to restructure our website to provide the optimal user experience,” said Steve Dickson, business development. “We know when a potential customer lands on our site, they need to find their application quickly and be walked through potential solution scenarios with as little fuss and distraction as possible. Users also have immediate access to case studies and stories about installations that relate closely to their own situation. As always, a free quote feature allows users to submit their room specifics and measurements to learn more about their solution and the associated cost of materials." "Let's say a small venue restaurateur is looking for a solution to address noise complaints,” Dickson said. “After selecting the 'food and beverage' category, there is a subsequent menu that allows for the selection of 'small restaurant' to find the information most specific to the user's situation." The new site features a blog section that will be home to new product announcements, case studies, and educational pieces.There users will find some stories where acoustics have been treated including on a band's tour bus, a bowling alley, and more. "The idea of treating acoustics can be a daunting situation for people who are unfamiliar with the subject but know they need to address sound issues,” Dickson said. “This new site not only takes the mystery out of acoustic treatment, it walks the user easily and logically through the information they need."